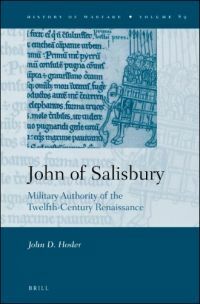 In his most recent monograph, John Hosler has shifted his focus from Henry II to John of Salisbury (d.1180), "one of the brightest luminaries of the twelfth-century renaissance" (1) and author of the Policraticus, Metalogicon, Historia Pontificalis, Vitae of Sts. Anselm and Thomas Becket, the Entheticus Major and Minor and over three hundred letters. Although John is still best known for his treatment of tyrannicide and the theory of the two swords, Hosler suggests that the neglect of his military thought (apart from two recent studies by Matthew Strickland and Christopher Allmand) has obscured scholars' understanding of twelfth-century warfare. 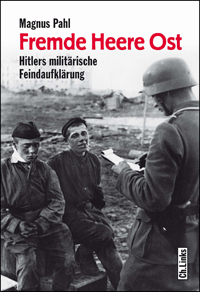 In addition to detailed discussions of weapons, sieges and battles, John provides information of use to devotees of the new military history, who focus on military organization, logistics, and the general culture of war. 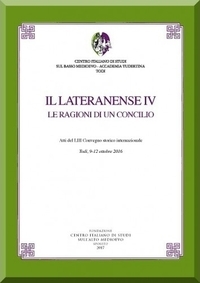 Like many twelfth-century humanists, John sought to reconcile classical and patristic learning and apply both to contemporary problems and events, particularly the advice contained in Vegetius' De re militari. 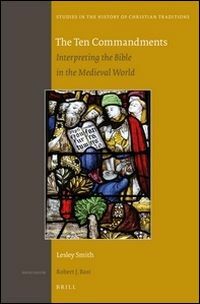 Although his use of exempla and descriptions drawn from biblical, classical and patristic texts may have led John of Salisbury to occasionally idealize warfare and promote ancient precepts which poorly reflected actual twelfth century customs, his musings were not simply descriptive but prescriptive. Moreover, his ties to the military elite of Henry II's court and the royal chancellor Thomas Becket (to whom Policraticus and Metalogicon were dedicated) ensured that his military advice reached those participating in significant campaigns. Hosler provides a thorough analysis of John's military lexicon, his discussions of the recruitment, training and discipline of soldiers, his treatment of logistics, his portrayal of strategy, tactics and what constitutes a good general, and his use of military terminology to discuss the church militant and the war between vices and the virtues. 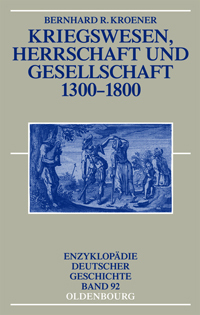 He concludes that although John was never trained or served as a warrior, he gleaned significant knowledge of warfare from networks of political, religious and military acquaintances, his own personal observations and literary sources and remains a valuable witness for the theory and practice of twelfth-century warfare, including Frederick Barbarossa's Italian campaign, the siege of Damascus (1148) and the Reims rebellion (1167). Hosler's examination of John of Salisbury's use of the term miles is a useful contribution to the debate currently raging over the meaning of the term. 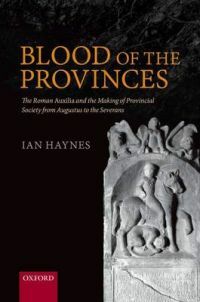 He also rightly calls into question scholars' interpretation of book six of John's Policraticus as advocating a precocious ideal of chivalry and knighthood, arguing that John's presentation of the oaths, duties and expectations of sworn warriors applies not only to knights, but to all soldiers. 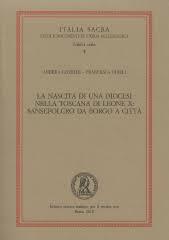 He follows Christopher Allmand in concluding that the Policraticus constitutes the first serious intellectual justification of the use of monopoly of force (through the royal army) to bring peace to society through reducing private warfare (22). Hosler also hails John's œuvre is a "treasure trove of military terminology" (37) comparable to Henry II's assizes of 1181. Moreover, John adapted Vegetius' advice on the selection, training, and discipline of common soldiers to the problems facing those organizing and participating in contemporary military campaigns, including those of Henry II and Harold Godwinson against the Welsh and the armies of the Second Crusade. Although John's praise of Henry II as an exemplary general may have been intended to avoid his further alienation from the royal court, his stress on the importance of non-mounted soldiers confirms modern findings that medieval armies and their strategies were not necessarily dominated by mounted knights. John's comments also illuminate contemporary justifications of warfare, including crusading. Despite his penchant for describing pitched battles, John's treatment of tactics also confirms the current consensus among medieval scholars that open clashes were rare events with territory more likely to be acquired through sieges, raiding and ambushes, diplomacy, and defense of territorial rights. Hosler justifiably stresses that John of Salisbury's sophisticated discussions contradict the notion that medieval treatise writers were uninterested in tactics and strategy (87). However, his consideration of John's opinions on topics including theft, rapine, military discipline, mercenaries, wages, and booty may well have benefited from reference to discussion of these issues by the succeeding generation of theologians trained in Paris, featured in studies by John Baldwin and Philippe Buc, among others. Perhaps Hosler's most fascinating chapter is that which treats the use of the language of war as a metaphor for human life and spiritual strife. Hosler rightly notes John's unique contribution to the theory of the two swords; John visualized princes as receiving the temporal sword from the Church and delegating it to their generals and soldiers. For John, Church and state were not separate temporal and spiritual powers; rather, the two cooperated to achieve shared goals. In addition to applying the metaphor of war to the inevitable conflicts between spiritual and temporal powers, John also used it to describe the struggles of the Church Militant and Triumphant, the emergence of intellectual warfare in dialectic and scholastic argumentation, and the notion of the miles Christi. Unlike many of his contemporaries, John of Salisbury reserved the latter term for secular clergymen and monks rather than applying it to crusaders. Perhaps biased by the disastrous results of the Second Crusade, John remained skeptical of the purpose of crusading and its chances of success. Wars, physical or spiritual, must be fought by men properly selected, recruited and trained in proper methods, sworn to the cause, and deployed into battle with sense, caution, and expertise. Those who put their faith in omens or lacked faith or morals were doomed to defeat, as were those who opposed the church or God's divine plan. Hosler also points to John of Salisbury's discussions of parleys and truces, duels and trial-by-combat as offering insight into how informed and learned men analyzed contemporary conflicts. He boldly concludes that the breadth of John of Salisbury's military writing earns him a place among the names of other great military authorities of Latin Christendom, including Macchiavelli (178). 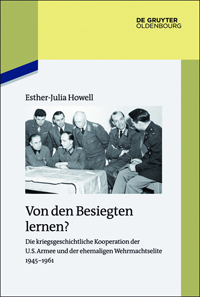 In fact, Hosler is currently examining the potential influence of John's use of military exempla on Macchiavelli and other authors. 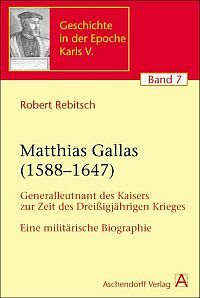 Certainly his current monograph ought to inspire others to reconsider medieval intellectuals' treatment of military matters and their worth as witnesses to contemporary military events. 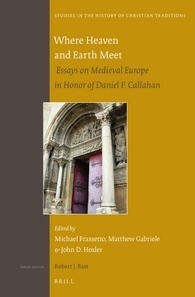 The work of Katherine Allen Smith, Philippe Buc, William Purkis and others reminds us that many of the intellectual and ecclesiastical elite in medieval Europe came from aristocratic families immersed in military culture, were often connected to monasteries and canonries steeped in the language of spiritual warfare, and served as counselors and clerks to kings, nobles and bishops involved in crusading and military campaigns within Europe.